I hate crafts! Absolutely despise them! Though I love craft time, or more appropriately creating time. A craft, to me, is something that must be done a certain way, with a certain outcome in order to be correct. Even the concept of correct or incorrect makes me cringe. Art is supposed to be a form of self expression, but adults tell children how to do it? That doesn’t seem right. For Valentines day I set up a craft. I had a picture in my mind of what I wanted the finished project to look like. There were only certain tools available for use, only certain medium for expression. I told them what they were creating. 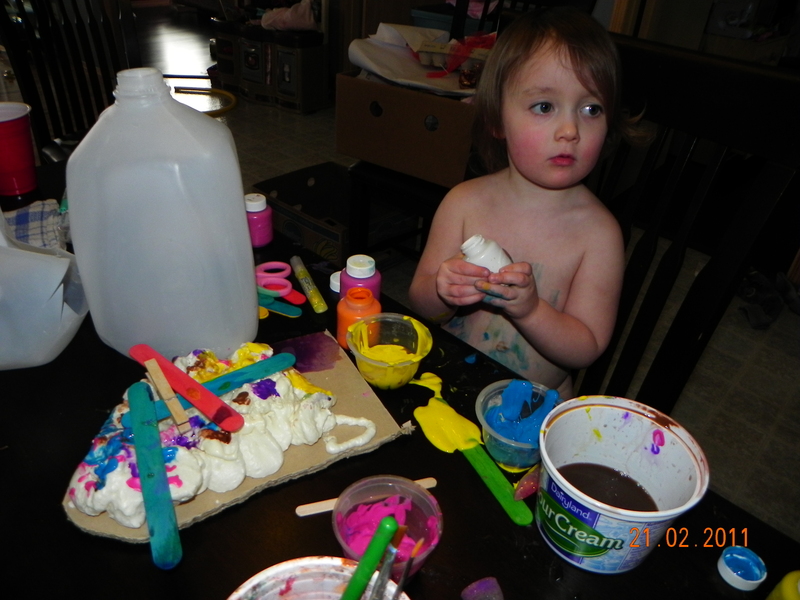 Ella told me I was wrong and she wasn’t creating a mailbox, but a letter – a valentine. The finished project looked great, however nobody spent a lot of time on the craft. Well, nobody but me. And the time I spent was setting it up, not actually making it. 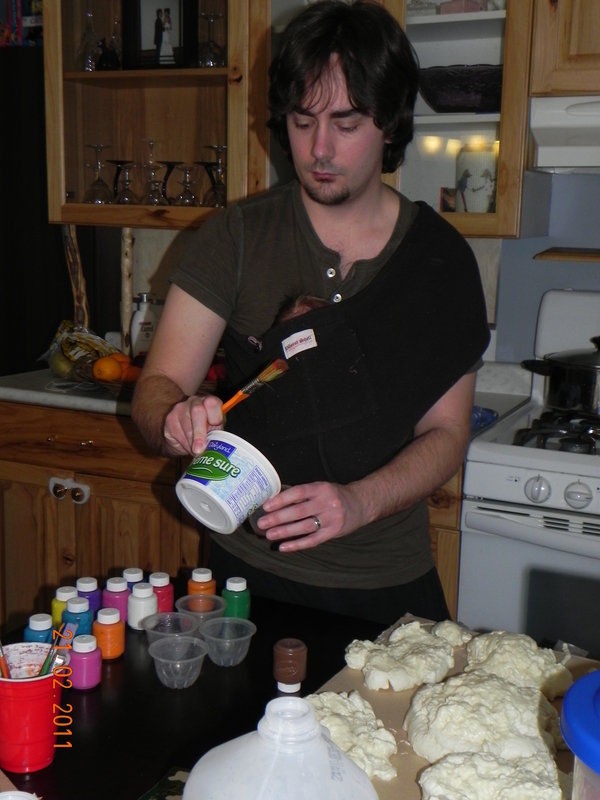 And that’s the other reason I dislike crafts so much. They always seem to take more effort setting up and cleaning up, than they do actually creating. I really don’t like cleaning. Creating, on the other hand is so much fun. The entire family can create, everybody can do something different, and everybody will do it right. No disagreement need ensue. 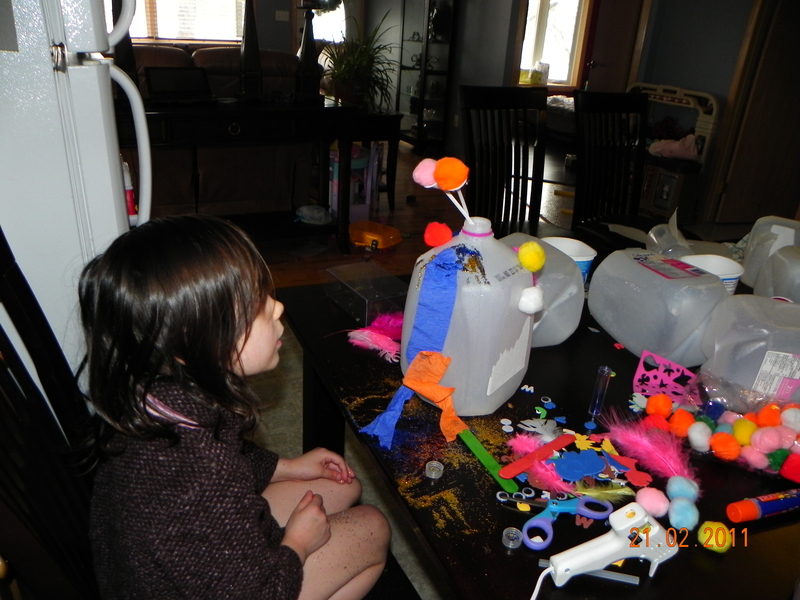 Today we pulled out a pile of craft supplies: The shotgun, milk jugs, plastic honey jar, popsicle sticks, dried insulation foam, paint, glitter, paper streamers, pom-poms, googly eyes, plus several other items nobody used. 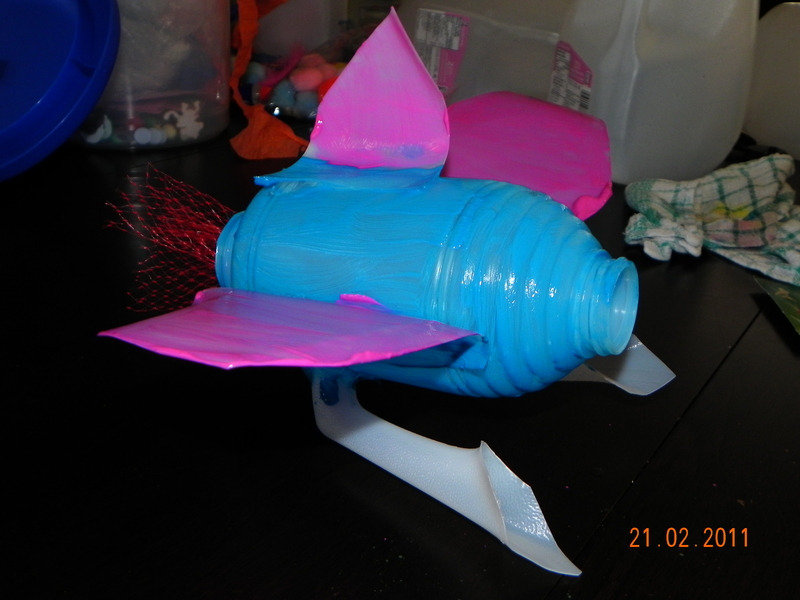 Ryan created alien terrain for Warhammer, the girls decided to make aliens, I made a rocket ship. Agatha practiced pouring, which to her was more important than creating anything elaborate. Ella worked carefully, without burning herself. 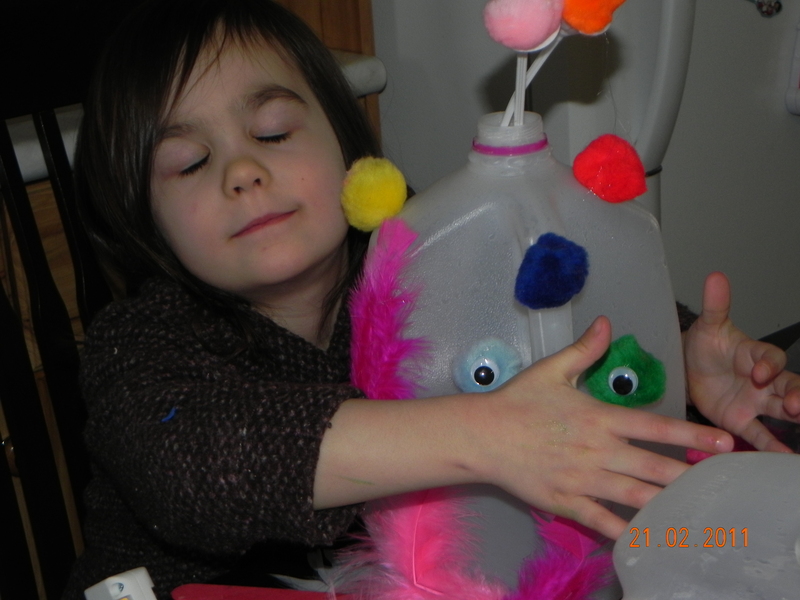 She experimented gluing different materials together, as well as the best way to get glitter onto a project. We sat at the table as a family, creating, for roughly two hours. During this time each person did as they chose, but could ask for help or feedback as needed. I think it was a wonderful way to spend Family Day. At home, together, enjoying each others company.